Flyboarding activities in Bali using an equipment called flyboard. 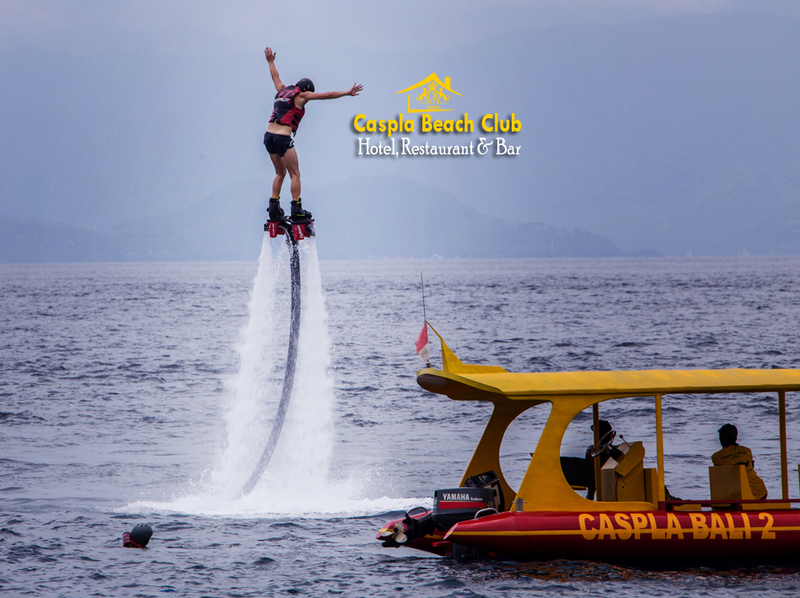 While flyboard is a water rocket launcher, connected with a machine shaped like jet ski, which provides impetus to flyboard by using air and water. Also, flyboard users will use shoes on board, linked to a hose to the jet ski. Therefore, the jet ski will supply water to the tube that creates water impetus from the bottom of the shoes. 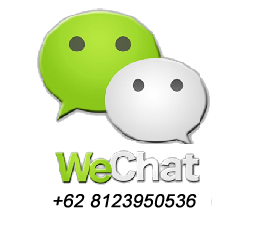 These makes flyboard user fly, up to 10 meters high. During the flight, flyboard user can hold the balance while climbing, then plunged into sea water. 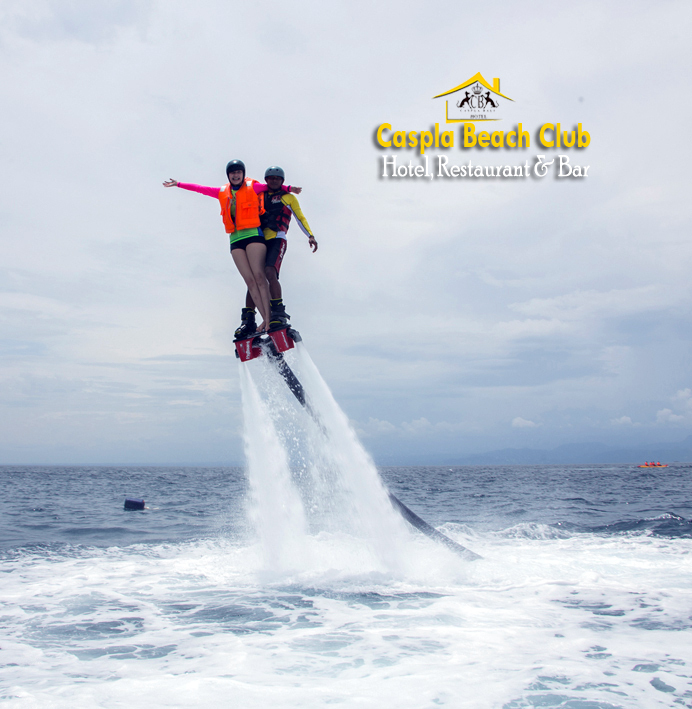 For users who have experience on flyboarding activity, when falling into sea water, they will do an acrobatic movement. While for inexperienced people on flyboarding activity, an acrobatic move will not be easy to do. One of the locations in Bali to try Flyboard activities is at Nusa Penida beach water sports. 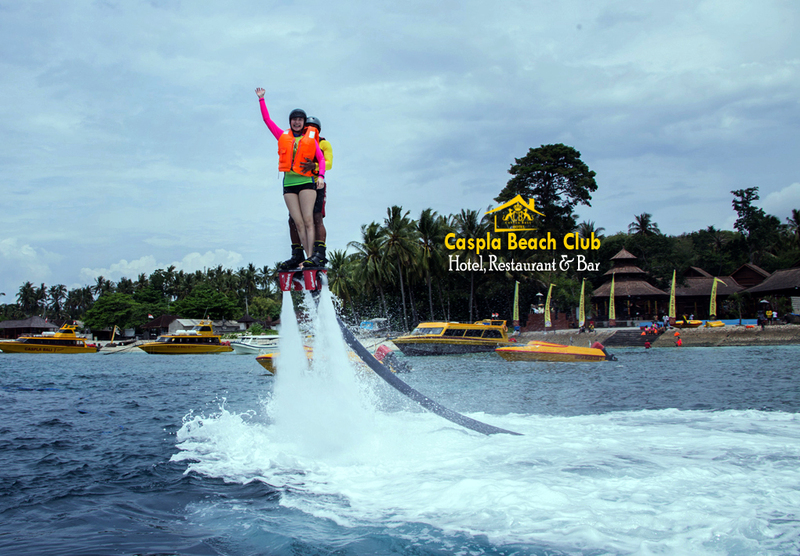 In the early introduction of Bali flyboarding activity, there is few water sports operator in Nusa Penida- Bali, are willing to provide flyboarding activities, because Flyboard equipment price is quite high. However due to many flyboard enthusiasts who would like to try Nusa Penida flyboarding. 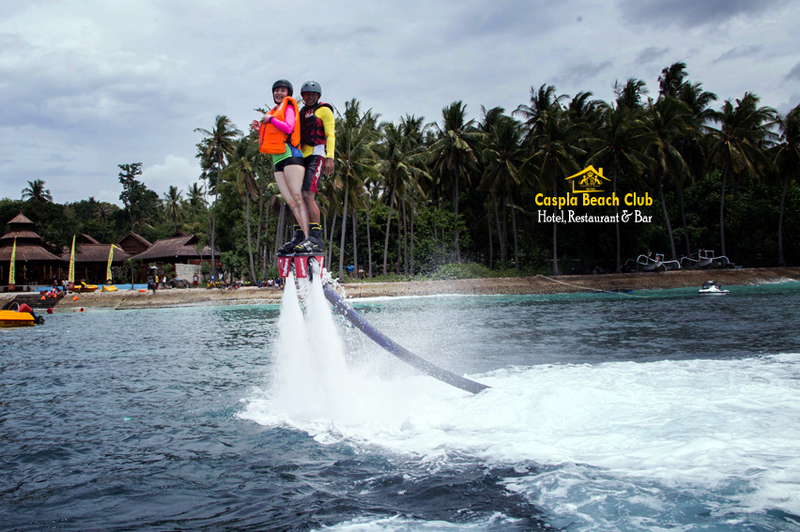 Then one by one water sports operator in Nusa Penida Bali began, providing Flyboarding activity.